Rihanna brought the vocals to the 2015 Grammy Awards! Praise Jebus! I was genuinely shocked at how effortlessly they flowed from her too- especially after peeping the smoking pre-show picture on Instagram. Even Paul McCartney's mush mouth, confused "singing" wasn't enough to distract me from what I was beholding. It's not often a live vocal impresses me more than its mastered counterpart- particularly when its concerning a singer like Rihanna- but this was one of those moments!! 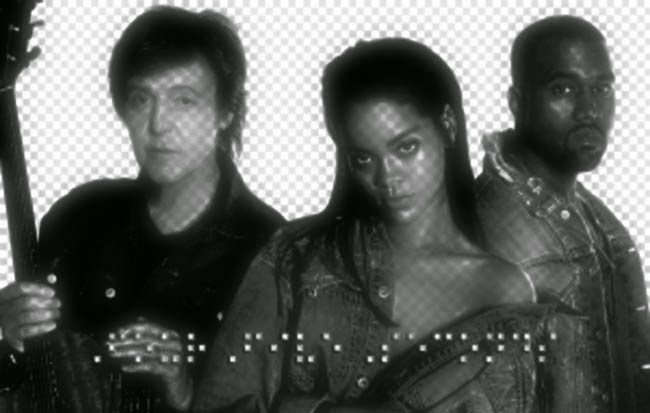 I like FourFiveSeconds a hundred times more after this!